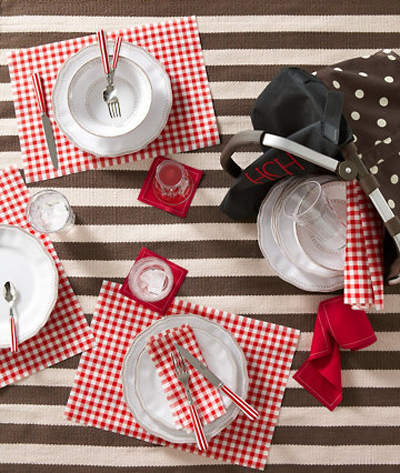 From brunch to BBQs to birthday parties, you’ll be ready to roll with the colorful cotton MYdrap Napkins and Place Mats that offer a fun and eco-friendly alternative to paper. Napkins come in two sizes on a perforated roll, making them perfect (and easy!) for kids. The place mat roll can be used for a runner — simply unroll a sheet of three or more. Printed hemstitching lends the casual look of linen. Recyclable after six uses and machine washes. 100% cotton. $32-$48. Buy here.